Tomorrow is the day that things change...for all of us! 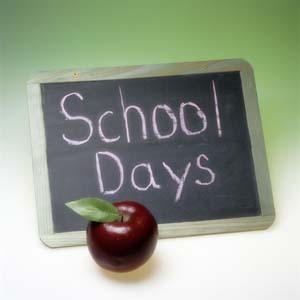 Aiva starts back to school and then Ana is right behind her in September. I've got to be on top of lunches, baths, homework, and keeping up with the house and bedtimes. not sure if I'm ready but here we go! 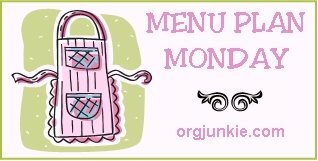 Monday I'm going to start my Menu Plan Mondays again because I have to have some sort of plan for how we're going to do dinners. If I don't do this we'll be ending up at Pizza Hut or McDonald's A LOT! So get ready world, here we go again. I'm going to be best friends with my crock pot for the next several months. If you know of any easy recipes, I'm all ears. As far as lunches, I've decided that I'm going to baggie all of the snacks and veggies way ahead of time so all I have to do the night before is pull a bag from the pile and toss in the lunch bag. I think I can make up some sandwiches a couple days before so I should be prepared that way. The trick is staying on top of it. For baths, I've decided that bath night will be Sunday, Tuesday & Thursday and maybe Saturday - depending on what we do. Aiva decided that she wants to do homework as soon as she gets home so she can go out to play while I'm getting dinner going. Nate will have to help with that one but we'll see how long this one lasts. After being at school all day it's going to be hard for her to dive right into homework. We'll have to see how it goes for a few days. The last thing that I really want to keep up with is blogging. There have been so many things that have slipped by that I've either called my mom or wrote in the baby book that I haven't blogged about. I need to start doing this more often even if it's just a paragraph. The newest funniest thing that Aiva said was last week when she was in an art class. I asked who she sat by and she said, "She had red dot on her face...what are those called? That's right, fren-calls!" My mom calls her frencalls now and she hates it but it's a reminder for how innocent and funny she is. Love that girl :) So here's to a new "year". Very excited for what's to come so I better tighten my boot straps because it's gonna be a wild ride!